Gary Ecelbarger is a Civil War historian and has conducted several tours of the Atlanta Campaign battlefields. 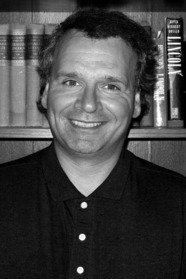 He has written or co-written eight books, including The Great Comeback: How Abraham Lincoln Beat the Odds to Win the 1860 Republican Nomination, along with biographies of Civil War generals “Black Jack” Logan and Frederick W. Lander and military histories of the Shenandoah Valley campaign and the First Battle of Kernstown. He lives in northern Virginia with his wife and three children.